Earlier this year, PSA International (PSA), Pacific International Lines (PIL) and IBM Singapore (IBM) announced the conclusion of a successful blockchain trial on the Chongqin–Singapore route via the Southern Transport Corridor. This collaboration between the Singaporean logistics giants signals a major development in blockchain adoption, and its success enables greater transparency and trust within the multimodal logistics network. 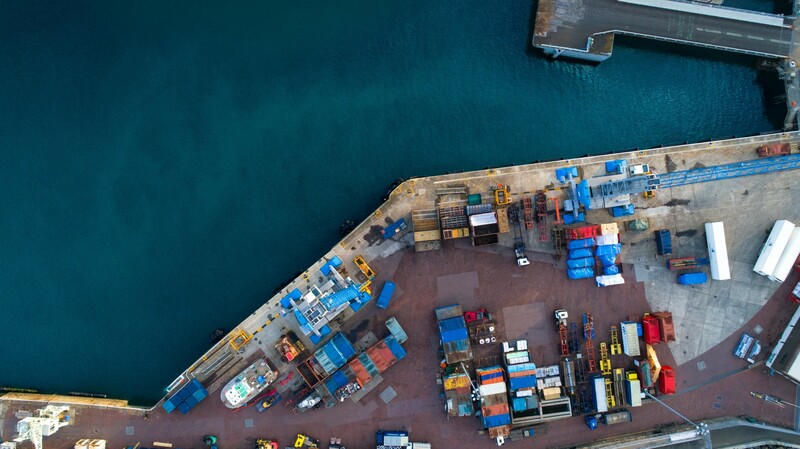 As we embark on implementing blockchain into our own relocation platform, a handful of us at Moovaz spoke to blockchain thought leader Amarpreet Singh, who shared his insights on the trial, adoption trends and implications of blockchain technology in the logistics industry. An advisory board member for over 40 ICO projects and invited speaker for a plethora of technology forums, Amar is a seasoned FinTech and blockchain expert who has amassed a wealth of experience working for global powerhouses such as Microsoft, Airbus and the World Bank. More recently, he has set up his regional consulting house in Singapore and a technology centre in India to develop and provide front- and back-end blockchain solutions. In the trial, PSA, PIL and IBM worked on a proof of concept (POC) exercise using the IBM Blockchain Platform to test its viability in tracking and tracing freight cargo movements. The trial was commissioned as part of a larger initiative piloted by the Port of Antwerp to reduce friction stemming from numerous intermediary processes in the supply chain. In the logistics industry, there are four main use cases for the integration of blockchain technology, namely: to increase transparency, allow for decentralisation, enable provenance tracking and remove intermediaries. In hindsight, Amar was almost certain that the POC with the Port of Antwerp would be a success as all of the above use cases were met — a strong justification for the adoption of blockchain technology. The success of the trial would pave the way for more blockchain innovations in the logistics industry within the next few years. An active advisor to various startups, Amar is seeing many new exciting forms of blockchain application in logistics sprouting from this community. With the rapid pace of innovation, we can expect processes and communications in supply chains to be far simpler and streamlined. This is made possible as the system would no longer need to be governed by a complicated web of intermediaries. Instead, it can be federated through transparent smart contracts on blockchain, allowing direct communication between the supplier and end-user. Amar also predicts that we will see increased connectivity between all stakeholders in the logistics industry. Blockchain results in the decentralisation of the freight marketplace, enabling stakeholders such as producers, importers, exporters, shipowners, charterers, and brokers to gain open access and opportunity to be matched based on the demand and supply of shipping services. Beyond harnessing blockchain, newer platforms are also integrating the use of cutting-edge technology such as artificial intelligence based booking systems and real-time tracking capabilities. Moving forward, business in this space will be redefined, as technology adoption results in vastly more intelligent and efficient processes. Companies that rely heavily on manual processes are bound to face immediate disruption as we usher in a technological revolution. In particular, Amar predicts that the trucking industry will soon be reshaped by blockchain. The current industry is fraught with inefficiencies due to a severe lack of transparency and a tangled web of intermediaries. In America, truckers travel with empty loads for almost 28% of their total mileage. The situation in Europe is similar, with a quarter of containers on the road being empty. With blockchain, cargoes can be traced by truckers in real-time, allowing for efficient planning and optimisation of container space. Payments can also be made instantaneously upon the completion of specific tasks through the use of smart contracts, eliminating the need for multiple intermediaries. With the increased receptiveness towards decentralisation, Amar predicts that we will see more large enterprises launching their own blockchain trials. PSA, PIL and IBM have already announced that they will be expanding the scope of their POC and will be engaging more participants from different nodes of the logistics ecosystem. Big players like Alibaba, ZIM, Accenture and other established companies have also made announcements about ongoing or upcoming blockchain trials to augment their business operations. Since most Blockchain startups use an open API architecture, these big players will be seeking greater collaboration to combine their own vast resources with the inventiveness of the startup community to enable the quick scaling of ideas in the logistics industry. As a technology startup, this is definitely an exciting time for Moovaz as we develop our proprietary one-stop platform on blockchain, and leverage on artificial intelligence and data analytics to enable seamless and efficient processes in the international relocation industry. Ultimately, our adoption of these technologies will translate into tangible benefits such as cost savings and greater transparency for customers. Looking back, the last technological development to rock the logistics ecosystem was containerisation. Fast forward to today, after more than 60 years since containerisation was patented, Amar believes that we are witnessing the birth of a long overdue technological shake-up which will redefine the logistics ecosystem on an unprecedented scale and depth.